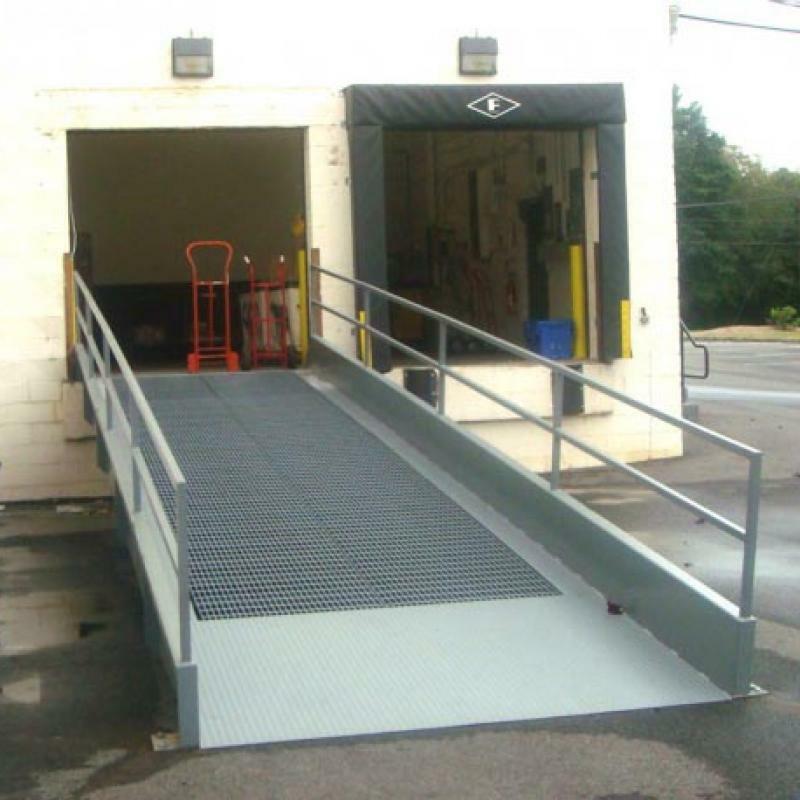 Inclined ramps allow for safe loading and unloading of warehouse goods from an elevated loading dock to the grade below. Trucks, trailers, semis and other equipment can travel up the ramp with ease to enter the warehouse facility. 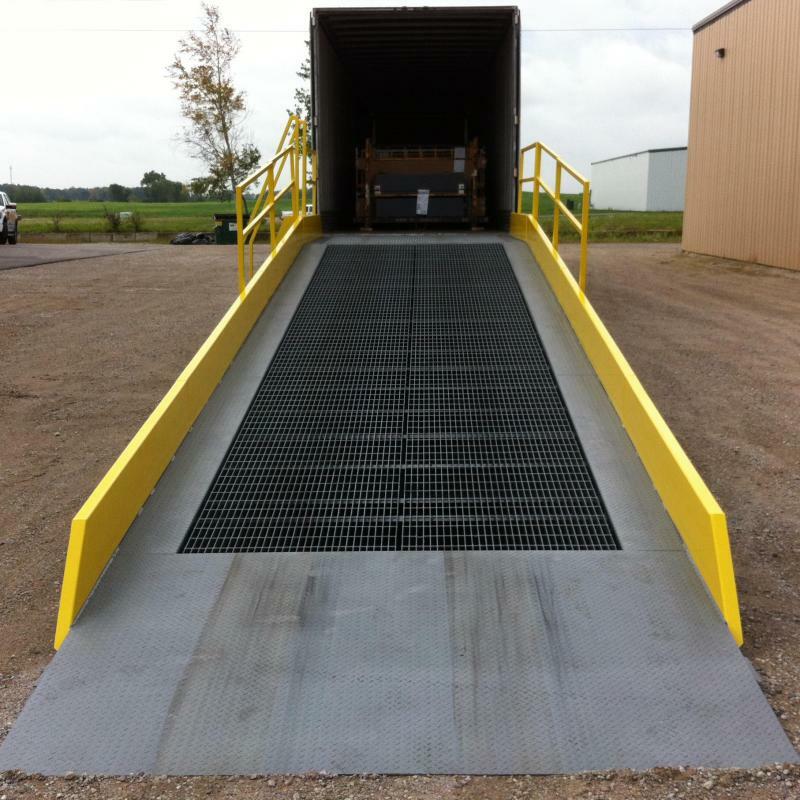 Carlson provides an array of steel and concrete loading dock ramp options to fit your facility needs.